While it takes a whole lot of effort and patience to develop a disposition ready to face whining toddlers, demanding husbands and cranky teenagers, moms today have evolved to challenge conventional stereotypes. Mother 2.0 stands for her own unique values and doesn’t always play by the rules, showing superhero feats of strength that invite us all to #RETHINKWOMEN. As it’s that time of year when we unabashedly celebrate everything Mom, Lifetime Asia, the channel that’s all about providing entertainment that empowers, turns its focus on three Filipino women with three compelling stories that are underlining the changes in how society sees motherhood. Inspiring and influencing the idea of living life on your own terms – Girlie Canoy, Lica Ibarra, and Amina Aranaz–Alunan anchor everything on what’s best for their families. Creative Mom. Mom to six kids and the owner of Puzzle Gourmet Store and Café, Girlie Canoy created a wonderful place that provides opportunities for Persons with Disabilities (PWD). Girlie’s youngest son, Jose, is autistic, and what better way to help him, and others like him, than to find something that would not only pique his interest, but also ensure a future he could look forward to. Noticing how Jose seemed to like organizing items on shelves whenever they go to the supermarket, Girlie first thought of opening a convenience store. Her other children though suggested that it should be something else, “I agreed with idea of a café, and when Jose’s therapist found out about it, she asked if some of her students could also work there, not as employees but to practice in Puzzle.” And the rest, as they say, is history. Deciding to open the café to PWD, particularly to help children, Girlie has trainees with autism and Down Syndrome, and among the three paid chefs is one with high functioning autism. Volunteer therapists go to teach the children how to properly talk to customers and guide them until they can manage to work on their own. “The most important thing is acceptance. First, you accept the fact that your child has a disability, and then you accept your child like any other child that you would have,” she shares. Girlie hopes to inspire other parents, especially those who have children with disabilities, to realize that there is nothing for them to fear and there is something out there for their kids. Sporty Single Mom. 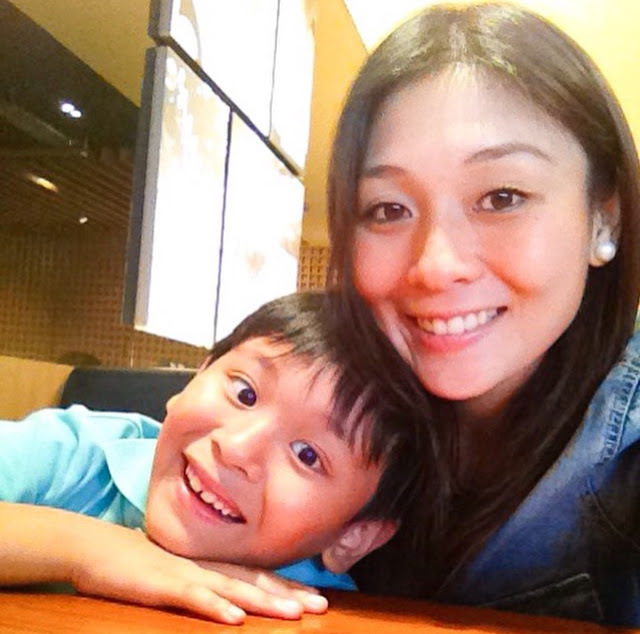 MasterChef Asia finalist Lica Ibarra is a single mom, and a proud one. A passionate Ultimate Frisbee and football player, she even represented the country as part of the Women’s National Football team (nowadays, she still coaches on the side), while holding down a corporate job, and raising her son. Yes, that’s quite the balancing act, but Lica manages well by focusing on what’s important. “You just have to set your priorities straight. Even if you’re so busy, at the end of the day, your kid should be the last one you’re with. Everyday tell them you love them and give them a big kiss and hug.” Her inclination for sports comes with great advantages – play not only develops motor skills in children exposed to it at an early age, sports also helps instill dedication and discipline in a natural and fun setting. 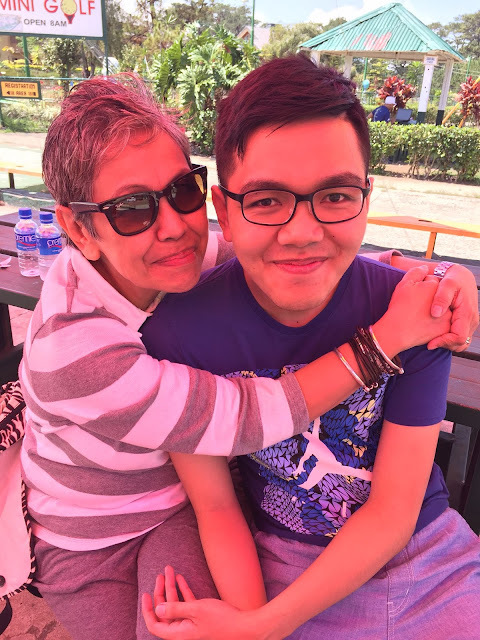 It’s something that Lica makes sure she imparts to her son. We can just imagine the added stress and pressure that come with single motherhood, being solely responsible for everything from day-to-day tasks to decision-making. Lica provides other moms in the same situation a great inspiration, with strength and resolve, she’s showing the world that she can do it all. As it should. There is no rule book or prescription for being a ‘perfect’ mother, and as these moms have so clearly shown, there is no need for one. It’s the differences that make them special, and it’s their strength that makes them inspiring. Celebrate Mother’s Day with Lifetime Asia with back-to-back episodes of Man vs Child: Chef Showdown, Sunday 8 May, 8pm – 11pm. Lifetime™ is available on SKYCable Ch 65, Destiny Cable Ch 44 (Analogue) Ch 65 (Digital) and other select provincial channels.